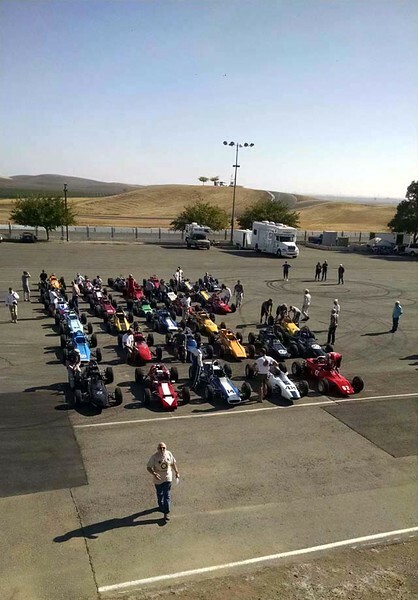 In late October 2015 we raced in California attending a Titan/Winkelmann Reunion (CLICK HERE for coverage of that event). On the way home we detoured from Grand Junction over to Gateway, CO. This is the location of the Gateway Canyon Resort and Car Museum (CLICK HERE for their website). The resort and museum are the makings of billionaire John Hendricks, founder of the Discovery Channel and brother of Rick Hindricks of Hendricks Motorsports fame (NASCAR engines and race cars). So, cars run in their blood, big-time. Both the resort and museum are simply amazing. Funny (and very, very cool) what big money can do. If you wish, you can CLICK HERE. for all our many other SmugMug Photo Galleries. To return to TeamTerrificRacing.com CLICK HERE. As noted , after racing on the west coast at this Titan/Winkelmann Reunion we stopped in Colorado a the Gateway Resort & Museum.